Lemonade Makin' Mama: He's the fun one... and other happenings. He's the fun one... and other happenings. As the weekend slides past, I sit reflecting on the state of things. We packed a lot into this weekend and the back half of last week. It always amazes me that if things were left to me, we'd miss half of them. Basically, my man is the most adventurous person I know. He would try anything, taste anything, go anywhere, strike up a conversation with anyone, and do pretty much anything new without hesitation. I, on the other hand, am completely opposite and have been known to kind of hide behind his broad back. Ha! I love that he pulls me out of my box, sometimes kicking and screaming, and makes us try new things as a family. He is the fun one, not me. Just saying. I had the opportunity to bask in the glow of one of my sis-in-laws last week. I don't want to embarrass her but she has been completely transformed over the past year. It's a thing to behold. She began walking with Jesus and He brought her out of addiction and pain... her joyful heart is infectious. We sat giggling about how good Jesus has been. Talking about past things... about the life she is grabbing a hold of with two hands and I couldn't be more proud of her. I've known her since she was only eleven. Prayed for her so long. Watched her struggle with so much... and I've cheered this past year as she was baptized and began making huge changes. This little cutie is my three year old niece. She wanted more juice. Precious and heart melting. 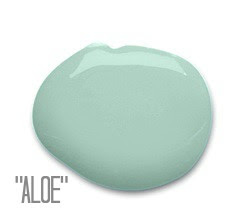 I fell hard for the Sherwin Williams "color of the year"... Aloe. I decided to try my hand at painting laminated wood, which was all over Pinterest and making me think it might just be possible... Thrilled to report it actually worked out really well. I was wildly skeptical but it all comes down to the right primer apparently. Always loved this cheapie computer cabinet that sits in our guest space. We bought it years ago when we began homeschooling, at a discount store since the doors hang crooked. However... It's kind of a dingy white color in real life so I proposed a paint job. Since this isn't a high traffic area, an expensive piece etc., my man agreed. It was terrific fun. I used an oil-based primer that was meant for glossy surfaces, (Multi purpose oil based primer from Sherwin Williams) and I didn't sand. Mainly because I wanted to see what would happen so I could tell you guys. Yeah. That's why. (And not at ALL because I'm totally lazy, whenever I can get away with it. Ahem.) I painted two coats of Pro-classic latex semi gloss in "Aloe" from Sherwin Williams. I also found and printed a free botanical print from The Graphics Fairy blog and framed it for a pop of spring time color. I am loving green right now. I also traded places with the table that resides here and my tiny book case for a change. Sometimes a girl needs a change. I love having my vintage camera collection (tiny though it may be) out and about. Not sure about the background pattern so I may need to change that eventually but it's nice to have a few shelves here. Plus our favorite card games are kept in that old blue radio parts box and it's great having it in the living room again. Another one bites the dust. We can't get healthy long-term around here. Can. Not. Ava's got the head/chest cold now. I am not getting sick again either. Mind over matter. Ha! I would love to welcome a new LMM blog sponsor! Sarah from The Rustic Ribbon has joined us and here are just a sampling of the sweetness this girl sews. I will tell you her items are fantastic quality and I love these fabric choices. She makes all kinds of sweetness such as clutches, notebooks, journals and crayon rolls. This clutch she sent me is padded. And lined with polka-dotty fabric and has little pockets! I just love it!! 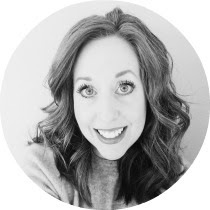 And just because she's new around here, she is offering all of you LMM readers a sweet discount on your orders from her brand new little shop!! Use "lemonade15" when you check out to get 15% off your orders! My shop. Yeah, it's neglected. I know a bunch of you have been asking about some of the items I used to carry regularly such as chalkboards and chicken wire frames, etc... honestly I have had so many intentions of stocking back up but I've been so busy whipping out custom order after custom order (wonderful "problem" to have) and simply haven't had the time for all the things I want to make. So my shop is kind of bare bones. For now. And that's pretty much the state of things right his minute. Always random. I think those are the only posts I am capable of writing any more and I'm linking up to Lower Case Letters blog. And p.s. my hubby is the fun one too. LOVE your "brand new" computer armoire. That color is so soft and peaceful! So sorry you guys have been sick lately...it's been a terrible season for illness on the east coast too. Have you ever tried a neti-pot? We have for the first time this year, and I swear, that's what's kept us well! It's easy, just weird! I has reduced our colds and longevity by a ton!!! Also, no sinus infections since we started using them 3 years ago. We like the bottle better than the pot...you can get it at costco, and we have one for each person. They come 2 to a pack and enough saline packets to last a really long time...I still have a ton! You're kids may think it's kind of funky...try it!! Glad to hear that we aren't the only family who can't get well and STAY well. 3rd round of colds in three months, blah . What is up with that? i love that color, aloe! It is perfect and looks great on your cabinet! Beautiful photos as always, girl! aloe looks spot on:)) love the name, love the color. hard to believe you could make that room any cuter but you did. you know i love me some COLOR! The aloe is fantastic! Love your photo's!!!!!! Oh wow...the aloe is such a subtle, gorgeous color!! The guest room is fabulous! love the ALOE! so pretty!! and i am loving green right now too. must be spring. or st. paddy's? loving what you did with that cabinet! i am THEEE laziest painter...as in...i don't do it! also, i LOVE how fresh and open and DE CLUTTERED your home is. I've been learning how to embroider and it's safe to say I'm officially hooked! Love it! Your welcome sign turned out so beautiful! as for my weekend? it's always the same....crazy...although this weekend i wanted to go to the irish festival...until i saw the price tag to enter..needless to say 8 of us won't be going...boo. maybe we'll wait for the scottish festival...whenever that is.. I LOVE that piece you painted! It looks AMAZING!!!!!!!!! Also, I didn't know you homeschool--we do, too! I am absolutely loving that gorgeous kitchen and Aloe is my new favorite paint color! I love visiting your blog, it makes me feel happy. Love your office cupboard, that Aloe colour is lovely. We're going to be doing some decorating around here soon and your home is very inspiring, thank you :) Have a wonderful week. Your aloe update is beautiful. And I love the fabric you chose for your chair! The cabinet! I KNEW it would fabulous and it is! The color is perfect. My hubs and I just today had a conversation about how he is the fun, adventurous one and I'm the content homebody. :) I LOVE the adventures once we are there, but for the most part, he's the one with the ideas and getting us out the door. OOOOH that color is fabulous!!!! I love the entire room, but that cabinet is a real stunner!! That is a lovely color and looks great in the room, you have a great eye for color, so happy that your plant is still living. I may have just a week left to get my blog back, so silly. I am in love with that colour!! What a perfect shade of blue! Can you share where you picked up your utensil jar? I've been hunting for the perfect one for my vintage rolling pins and voila... there it is!! Thanks!! Answers and other fine things. It's really all about the peanut butter sauce.